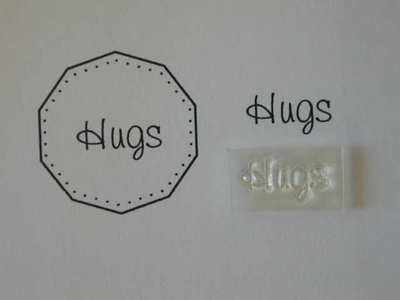 'Hugs' little word stamp that will fit into the circle stamps or the blank tag stamp. 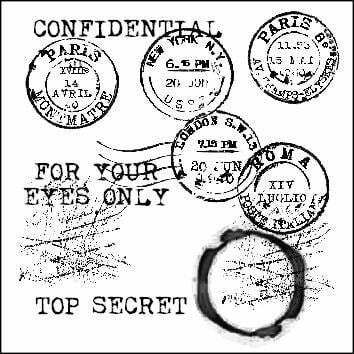 Stamped area: 3/4" x 3/8" - 1.9cm x 1cm. Shown here with the blank shaped circle stamp, which is easy to cut out by hand if you don't have a cutting machine.